Porsche's history as a tractor builder is fairly well documented, and often Porsche events will feature one or two of the company's agricultural offerings. The folks over at PorscheVintageTractors.com has the largest single collection of Porsche Tractors we are aware of. 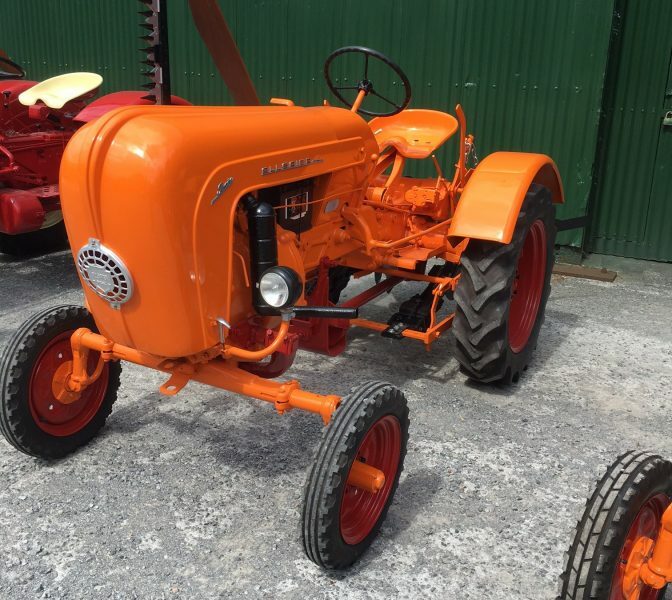 Their collection of over one hundred tractors includes 35 Porsche and Allagaier Porsche-System tractors, all restored to what they claim is "a very high standard". 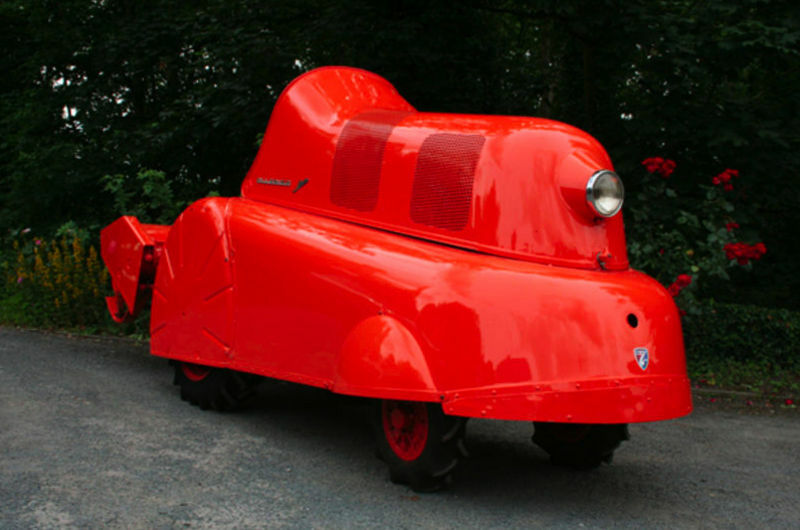 Like the company's cars, Porsche tractors were innovative and forward thinking, and in some ways were more radical than the contemporary 356. 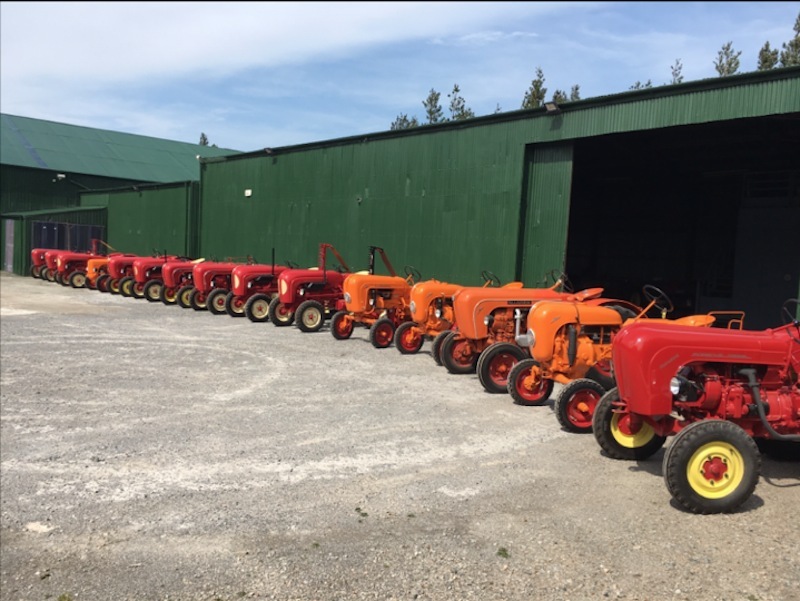 Is this the world's largest collection of Porsche tractors? Dr. Ferdinand Porsche began work on the Porsche tractor in the 1930s, around the same time development on the Volkswagen began. Porsche's tractor for the people was designed to be easy to operate, and featured a fluid coupling between the engine and transmission rather than a clutch. The belief was that farmers of the day could not handle operating a clutch while performing farm work. It is important to remember that in the 1930s the automobile was much less widespread in Germany than it was in the United States, and many farmers would not have owned a car. A clutch then was an unfamiliar, and difficult thing; especially on a low powered tractor! After the Second World War Porsche partnered with the Allagaier company to produce tractors based on its new transmission system. Where the pre-war prototypes were gasoline powered, the bulk of the post-war tractors were powered by diesel engines (some gasoline powered tractors were produced for use on coffee plantations, as diesel fumes were said to foul the coffee). 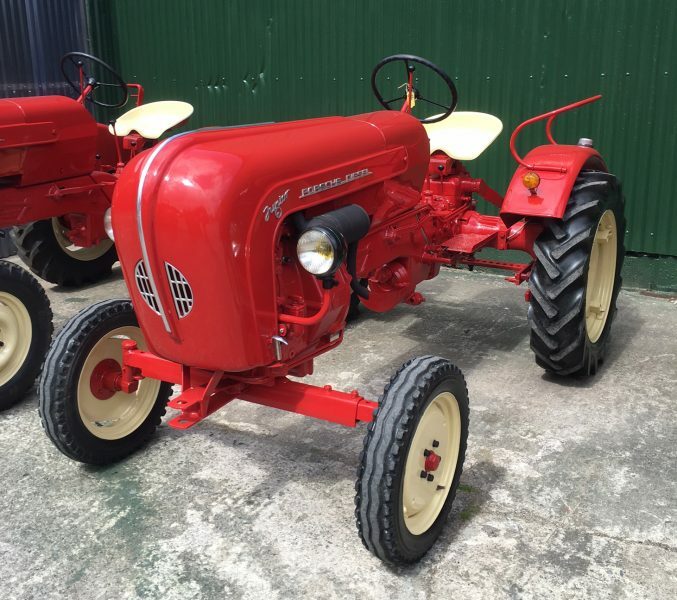 Porsche Vintage Tractors is selling off their collection. If they have their way, they would prefer to sell the collection off as a lot, though failing that the tractors may be sold off individually. The collection includes many of the models produced during the Porsche-Allagaier partnership, including some Allagaier models which used the Porsche transmission system, but were branded as Allagaiers. If the collection doesn't sell as a single lot individual tractors are expected to sell for between $8,000 and $30,000, as some of the models available are exceedingly rare. So, what do you think? Do you know of larger Porsche tractor collection? Nice article, I don’t know where is located this one, but in my mind the largest Porsche tractors collection is the Lackner museum in Austria with around 60 differents units !